Haunted Hoia Baciu Forest is the Entrance to the Real-Life "Upside Down"
In Netflix’ hit series Stranger Things, a small town is forced to endure the paranormal when a local child goes missing in the “Upside Down”, a strange version of our own reality where monsters lurk. Well, we’ve found the entrance to the real-life Upside Down: Hoia Baciu Forest, the world’s most haunted woodland, and a place that many believe is a gateway to another frightening dimension. In fact, Hoia Baciu Forest has been the site of so many different paranormal encounters that it might even give the fictional “Upside Down” a run for its money. Tucked away inside Transylvania (yes, that one), Hoia Baciu first established its sinister reputation when a shepherd disappeared into its shadowy embrace. This might not seem like such a mysterious thing, as people tend to go missing in the forest all the time, but this disappearance was a little bit different, because he vanished with over two hundred sheep. That’s a pretty spectacular feat for a magician, much less a shepherd. The local villagers declared the forest cursed, and refused to step foot inside, but this would just be the beginning of the bizarre phenomena that would terrify locals for centuries. Over the years, those who dared venture into the mysterious forest have reported experiencing the unshakable feeling of being watched, a sensation that is often times accompanied by nausea, rashes, burns, anxiety, and even vomiting. Even the trees and vegetation have been said to suffer from the strange forces at work in the woods, taking on unnatural shapes; the trees are twisted, charred in some places, and exhibit colors and odors that are hard to describe. Loss of time is another common phenomena that visitors experience while inside the Hoia Baciu Forest. 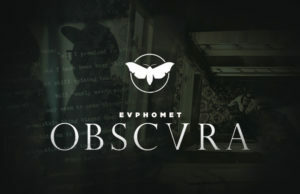 Many say that all of your previous memories about visits will return to you while you’re inside the confines of Hoia Baciu, but the second you step foot out of the perimeter, they’ll once again be forgotten, as if they’re memories that you’re not supposed to take with you when you leave. In the 1960s, biologist Alexandru Sift and military technician Emil Barnea both captured a series of strange photographs of a disk-shaped UFO hovering in the sky above the forest, and by the 1970s, the area had become a UFO hotspot, with witnesses regularly capturing amazing photos of strange lights floating effortlessly in the sky around Hoia Baciu. The strange lights became so pronounced that a local university took interest in what had become known as the “world’s most haunted forest” and launched an investigation into the Hoia Baciu headed up by Adrian Patrut, a chemistry professor. The investigation remains ongoing. The most common theory about why Hoia Baciu Forest is such a paranormally-active location is that it’s actually a gateway to another dimension, much like Stranger Things’ “Upside Down”, where unfortunate souls have been known to accidentally disappear – sometimes with a few hundred sheep. The scary part is that gateways work both ways, and sometimes things from the other side can slip into our reality just as easily. One of the most famous tales about Hoia Baciu Forest centers around a five-year-old girl who vanished after wandering unattended into the woods. According to the locals, the same child reemerged from the forest no less than five years later wearing the same clothes she was last seen in. Astonishingly, the girl had not aged a day, and had absolutely no memory about what had happened to her during her half a decade long disappearance. To her, she had only been gone a few minutes. Still, there are others who believe that the ghosts of peasants who where sacrificed inside the forest are to blame for the mysterious disappearances in the forest. Legends say that the spirits of the of the murdered are still trapped inside the thick woods unable to leave, and that they’ll do everything in their power to lure unsuspecting travelers into their grasp. 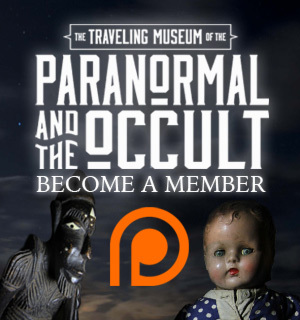 Many visitors have even reported witnessing large, ghostly groups of people with glowing green eyes, surrounded by a thick black fog, wandering the haunted forest in the dead of night. Locals believe that much of Hoia Baciu’s paranormal activity emanates from large patch of dirt near the center of the forest where nothing ever grows. Experts have even tested ground samples only to discover that there’s absolutely nothing wrong with the soil and that, theoretically, there should be vegetation growing there. Investigators who have visited the center of the forest have reported seeing strange manifestations, malfunctioning electronic equipment, and have even heard the distant sound of voices echoing out of the tree line towards them, only to discover no one in the vicinity. Is Hoia Baciu forest the entrance to the real-life “Upside Down”? With its lengthy history of paranormal phenomenon, mysterious disappearances, a healthy shroud of legends covering the dark woods, it’s certainly in the running for Stranger Things‘ real-world counterpart. Whether or not the haunted forest is actually a gateway to another world, one where mysterious creatures can travel back and forth between dimensions, is up for debate, but that hasn’t stopped curious researchers from flocking to the Romanian countryside to find out for themselves. Maybe the next paranormal investigators to visit the world’s most haunted forest should bring a string of Christmas lights with them. Would you explore the Hoia Baciu Forest? Let us know in the comments below! 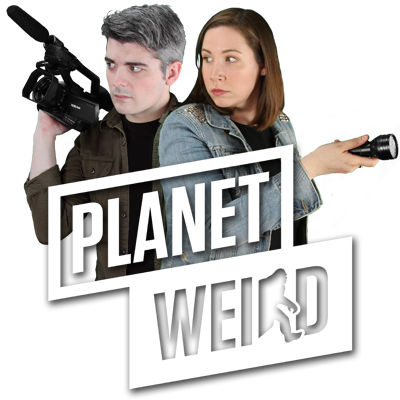 Like Planet Weird on Facebook and follow us on Twitter @WeirdHQ!